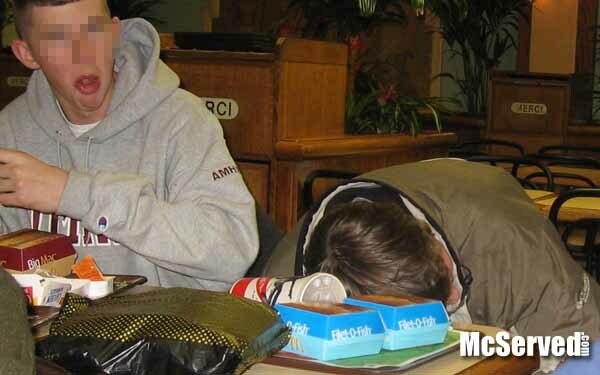 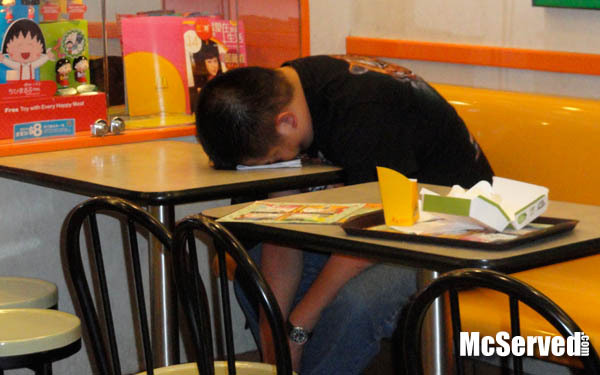 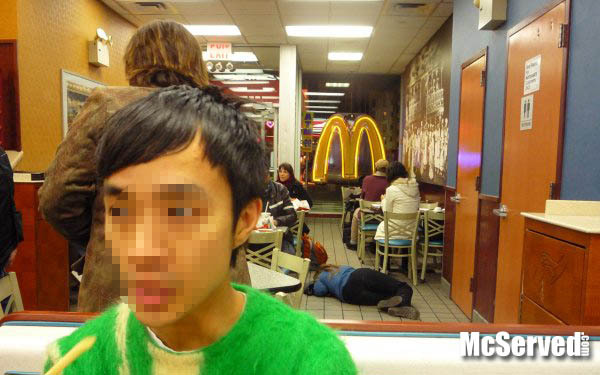 Sleepers | McServed: Getting Served McDonalds Fast Food Funnies, Laughs and More! 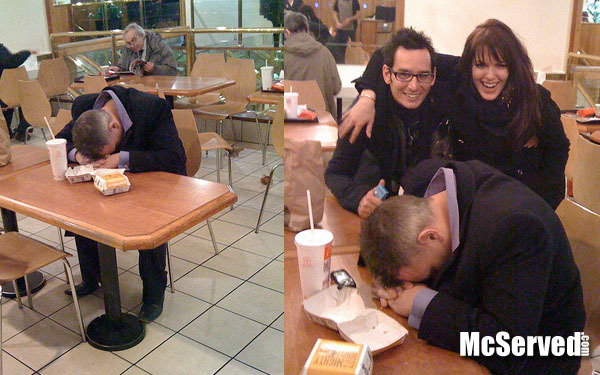 This guy was caught sleeping, so this couple did what any other touristy, out-of-towner couple would do: take a picture with him. 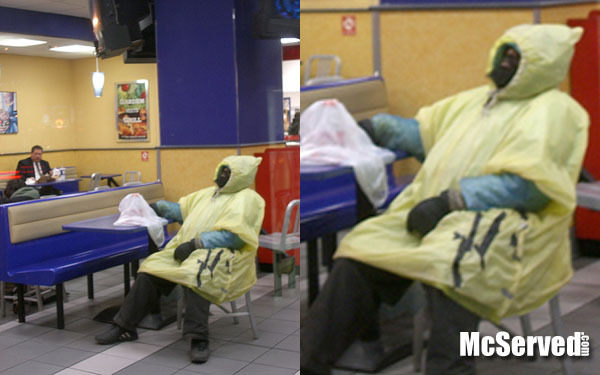 Pictures, Sleepers tags: garbage bag.